Bangladeshi model Tisha wants to prove her by modeling and acting. When Bd model Tisha want to acting from modeling area that time some people say Tisha you stay modeling area. Do not go acting you can not well in acting. But Tisha believe that she can establish both modeling and acting section in Bangladesh. Her acting career not lot of time but in short time she is now popular actress and model in Bangladesh. Some writer write script depends on Tisha. However Tisha say this is very big achievement for me. Bangladeshi model Tisha starts her performing career childhood from Notun kuri magazine program in BTV. Then Nurul Huda is her turning point of success and 69 performing she was like as expert. After 69 drama people are very happy to watch Tisha performing. Tisha favorite's director is Aronno Anower, Mostafa Sorowar Faruki, Golam Sohorab Dulal. Tisha say those director give me scope to acting. 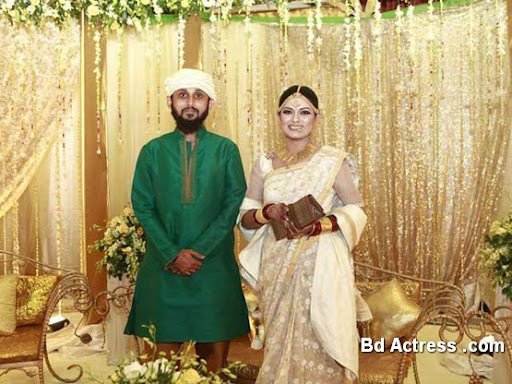 Tisha a acting with Bangladesh famous actress, actor and model such as Mahafuz Ahmed, Mir Subbir, Chanchal chowdhury, Jahid Hasain, and ATM Samsul Jaman etc. Tisha say I do not believe couple acting. Tisha is happy with acting ATM Samsul Jaman and Salaudding Lavlu. At present Tisha modeling and acting running in many TV channel such as Nurul Huda, 69 Natok, Karam, 420 Bangla Natok, Busy director, Third person singular number, Kather khucca etc. Tisha is also acting Telefilm. Recently Bd actress Tisha is acting a village girl character. Tisha is acting funny movie too. 420 dramas is Tisha's real girl performing. Moreover Tisha family does not permit for film performing. But Tisha is performing third person singular number film director by Mostafa Sorowar Faruki. Tisha say my first movie third person singular number I learn many thing from that movie. Bd model Tisha practice modeling and acting from childhood. Tisha remarkable modeling work such as Keya soap series TV advertisement, Keya cosmetic, Keya Lipjel, Keya cloth clean soap etc. Tisha favorite food is Bakarkhani and fuchakka. She is like chat with friends. She is like travel Dhaka city. Tisha also likes shopping in Dhanmondhi, Dhaka city. She eats satisfactory.